每星期可使用一至兩次, 將少量眼膜塗於眼圈位置, 輕輕按摩約一至兩分鐘, 再敷二十分鐘, 用清水洗淨. 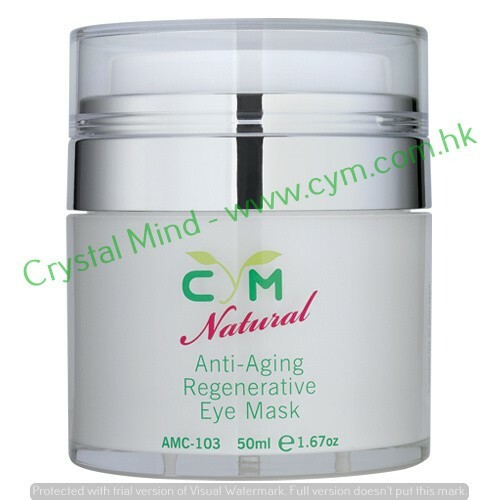 Anti-Ageing Regenerative Eye Mask is a potent product, including Siberian ginseng, accelerate blood circulation, precious ingredients Shea Butter, make it deep moisture, reducing the formation of dark circles and wrinkles. Features: Sulphate-Fre, Propylene glycol-free, Silicone-free, DEA-free and Artificial colour-free. Twice a week. Apply on skin, lightly massage in a minuate, and wash off after 20 minuates.